COCHISE COUNTY, AZ (Tucson News Now) - Residents plagued by the daily sound of multiple train horns will soon enjoy the tranquility of the high desert, thanks to a successful intervention by Cochise County. 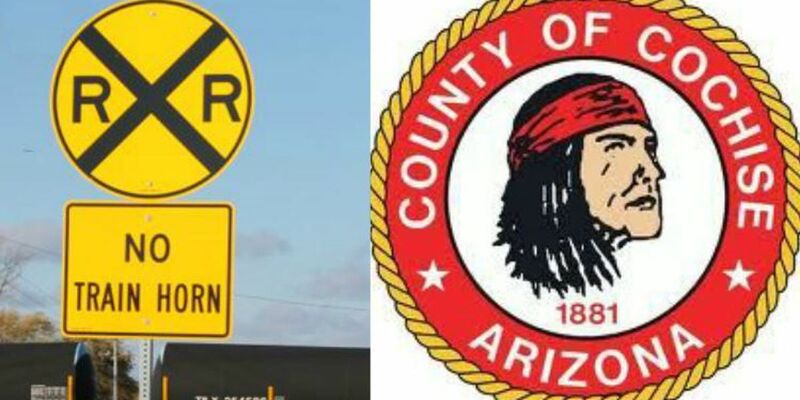 After hearing the complaints of people living near the railroad crossing on Dragoon Road, Dragoon, the County asked the Arizona Corporation Commission to establish a Quiet Zone. The application was approved and will prohibit trains from sounding their horns, unless absolutely necessary. Around 40 trains per day use the Union Pacific Railroad crossing. Additionally, the County will carry out work to improve the safety of the site for the more than 1,300 vehicles which use the crossing daily. "As a safety measure, the proposed improvements will include constructing a 2-foot concrete median to deter traffic from crossing when the crossing guards are down and to keep vehicles within their lane," said County civil engineer Bradley Simmons. Highways & Floodplain also plans to widen Dragoon Road at the site, and to place signs alerting the public they are entering a location where they will not receive warnings from trains. The road improvements are expected to start within the next few weeks and the Quiet Zone will take effect approximately one month after construction is completed.